I'd like to THANK EVERYONE on this wonderful forum. You ALL have helped me a great deal. THANK YOU ALL again!!!! Hope to meet some of you out on the road someday. My school instructor named me "BARE FOOT" because on the first day of driving training I was wearing steel toe boots and she had me drive without my left leg boot ALL day, so I could get a good feel for the clutch. I learned my lesson the next day and wore my FILA. SO for my time here in the academy I'm known for "BARE FOOT" even by the school DIRECTOR. Funny. THANK YOU ALL again. What a STRESSFUL past few weeks. I HAVE FINALLY EARNED MY CDL. My journey can now begin with my trainer for 6 weeks. I went with FFE/KLLM TRANSPORTATION and what a great program it is, VERY FAST PACE but instructors are great, VERY patient with everyone. I came to the program not ever even been on a tractor trailer. But this company really cares, they stress SAFETY and G.O.A.L (Get Out And Look. I recommend this program. Finally heading to the academy on WED. I'm really, really nervous heading to the academy since the biggest vehicle i've driven is a straight truck. I've never even been on a big rig. Should I be this freaking nervous? Any recent grads from FFE that could give me some pointers?Any last advice would be greatly appreciated. NEVER SEEN THIS IN MY LIFE!!!!!!!!!! ONLY in EL PASO, TEXAS. Now I'm NO expert on truck driving, but this just didn't seem right or looked right.Today I saw some idiots trying to haul EIGHT tractors at ONCE. Yes EIGHT!!!! These idiots were forced to make a sudden stop on a red light and 2 of the tractors went forward and hit the tractor in front of it. I was not able to take a picture of it because of the traffic chaos they caused but I wish I would have to share it with everyone on this forum. OOOPPS!! Not sure if recruiters information is accurate. According to my recruiter FFE does UA only??? Not sure if you recruiters word is all that true, but just wanted to share information with everyone. Thank you STARCAR for your response. Yes I sure did pick up manual, but they really threw me off when they said I needed to get my MED CARD for certain testing? I've been studying and taking practice test on different websites to give me an idea of the information. Just don't know if all categories are given in one test or in parts? I Do have a MED CARD already, except this medical card was given to me when I was doing local delivery (straight truck- NON-CDL)for my current employer. It is still valid until 04/13/2014, but I just had believed FFE had to give me their own medical clearance to obtain a new MED CARD? As mentioned before I'm just really confused now about all this since I'm VERY- VERY new to all of this. Thank You again STARCAR. Any further info is well appreciated. Hello everyone. I'm in serious need of information obtaining my Texas CDL Permit. I'm set to start my training academy with FFE Transportation on March 24,2014, according to my recruiter I'm suppose to obtain my permit before I begin my training. Now, what is the very first thing I need to do to begin this process? Which categories am I suppose to take, I know I need Air Brakes, Combination, and any other endorsement testing I may want to have on my license. Do I test on ALL categories at the same time or are they broken down on different sections at a time? I know this sounds very ridiculous and ignorant in my part, but i'm very confused on how to start this rolling. By the way I went into DMV here in EL PASO, TEXAS and they told me (VERY RUDELY) I first needed to get my MEDICAL CARD for certain testing. I thought I had to get my DOT Physical and drug screening done first by FFE in order for me to get my MED CARD? If anyone has any information it would greatly be appreciated. Good evening to all. Hope you all are having a great trip where ever you may be. Just wanting to know if I made a right choice. I will be headed to the training academy at FFE Transportation in a couple of weeks. Not sure if made a right choice, not with the company itself but I made a choice in changing recruiters. Meaning when I first applied, I didn't speak with anyone until 2 weeks after and that because I called them. Anyways the recruiter I spoke to the first time seemed somewhat disorganized, she apparently worked out of her home recruiting students. Not to say she doesn't work hard except it was pretty difficult to ask questions when she's distracted on whatever is going on at her home. RED FLAG???? OR NOT???? Any how I spoke to another recruiter and she was the total opposite. She has kept constant contact since first speaking with her, answering any and all question that I have. Did I do the right thing to request a different recruiter?? Any recent new graduates from FFE Transportation drivers out there??? Trying to get any information (entire process from start to end of training with the trainer) I know I could get the info from their own website, but just wanted to hear the process from an actual company driver or trainee. I am scheduled to start school on March 17 and very excited to finally start training. What testing does Con-Way and FFE do? Jerry did you ever get aanswer for FFE?? Don't get me wrong, just wanted to know because I was planning on getting a haircut before going to training and if their gonna take hair well might as well wait till they do that, then I can get my haircut. Don't want to have them get hair from anywhere else. I'll just stick to them getting hair from my head.Right. Jerry did you ever get and answer for FFE?? What are the chances of me getting hired with a company if I were to get my CDL at private school? Would be difficult to get hired on by companies? I know I would have the freedom to go with anyone, but would hire me since I wouldn't have the OTR experience? Yes I have chosen a company sponsored training due to my financial situation. There's plenty of training schools here in El Paso, Tx, but I just can't afford these schools right now. That's the main reason I have elected to get my training out of town and with a company sponsorship program. I also tried applying with Central Refrigerated but when I got done with online app. It wouldn't go through for some reason. But I will continue to look at other companies before I head to P.A.M though. Any company suggestions?? I'd like to Thank You for giving me this advice. I just have found it very difficult to decide which company to get training with. 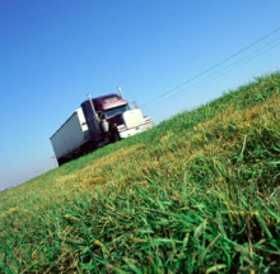 I am VERY VERY new to the world of trucking. The biggest vehicle I have driven is a Straight Truck. For a couple of retail business's, and those were local delivery jobs. Company wise, P.A.M has caught my eye because the recruiter has kept constant contact with me. Though there was an article a while back on this site, stating that recruiters were only there to draw you in with all these great things. I know that once you sign on that dotted line, their out with you and in with the next caller. In regards to FFE I was really interested in there company until just last night I was reading a few reviews on their company and they were all pretty negative. So I am leaning on stick with P.A.M. Though P.A.M doesn't provide transportation to and from school/motel, this has been the only negative that I have found because I have to travel from EL PASO, TEXAS to Forth Worth, TX. I really want to get on the road and join you all through the country. Still set on starting schooling on March 3. Just wanted to see what advice experienced drivers had/have for me on this journey. Thank You everyone. FFE or P.A.M????? just cant decide on which to get my training with? Any input from either company would greatly be appreciated. Thank You for the info. It's well appreciated. Would this company be recommended? Do they have their own website? Anyone out there really know if FFE Transportaion is a good company? Just wondering because I applied with them about 1 1/2 weeks ago and have not heard from anyone? Is this normal for this company?